Longtong MPLS-IP-VPN service products are based on Longtong network construction, the use of MPLS (multi-protocol label switching) technology, combined with service levels, traffic control technology for users to build enterprise virtual private network to meet the branch office security, , Reliable communication needs, and for enterprise data, voice, images and other multimedia services to provide high-quality services. Modern enterprise almost all have e-mail, voice and video and other different nature of the data transmission needs, while equipped with telephone lines, regional networks, and even video conferencing line, complex lines, build time and cost. 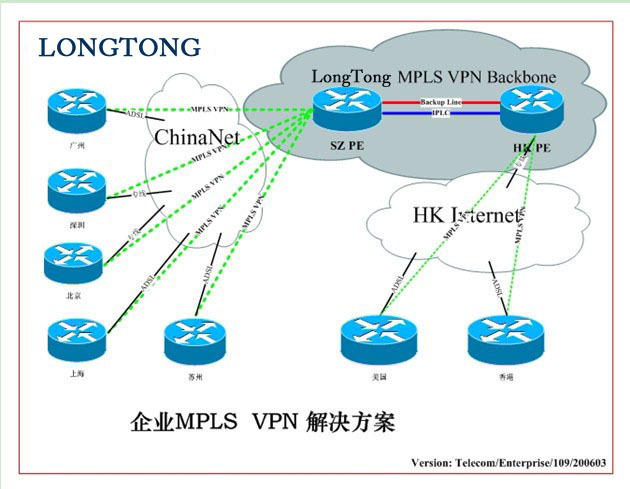 Longtong MPLS IP VPN service through the construction of a virtual enterprise network, the data, voice, video integration to a single IP platform to solve the need to integrate traditional voice and data network two independent platform issues, providing each client or regional Direct and secure network connection, at the same time, so that employees do not need to enter the company's internal network, you can also access the company's internal information. The existing WAN technology, such as the international line (IPLC) is too expensive, and lack of flexibility, Long MPLS IP VPN service program is able to solve these problems, is the most consistent with the needs of enterprise network solutions. The Longtong MPLS IP VPN service allows network administrators to prioritize data packets to ensure that specific users or applications can prioritize specific network bandwidth. 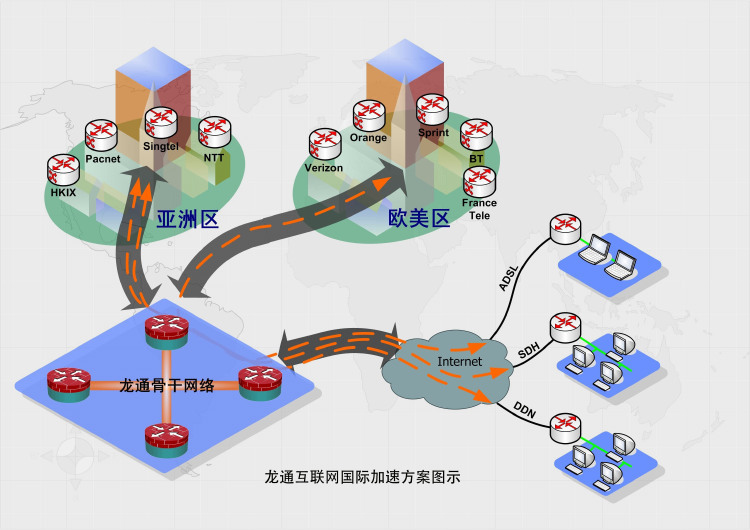 Not only can promote traffic classification, more effective bandwidth management, so that the network has the ability to deal with different applications caused by the transmission of the contents of the delay, distortion or packet loss situation. 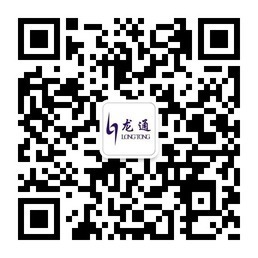 Longtong MPLS IP VPN products in addition to providing high-availability wide area network connectivity services, but also to provide customers with end-to-end active full network management services, 7 * 24-hour hotline service, professional process management, timely on-site support services, Site-based business acceptance, a wealth of information network construction experience to effectively protect the quality of customer service. 4, easy to achieve in the three places with branch offices and the need to integrate the operation of the enterprise management ideas.